Tesla Model X Founder series are fairly rare vehicles. Tesla CEO Elon Musk owns one (picture above), NVIDIA CEO Jen-Hsun Huang also has one, and few other investors and early Tesla supporters, like Steve Jurvetson, were able to buy the limited-edition vehicle. Founder series are not only limited-editions, but they also were delivered early in the production process. The Model X remains difficult to get considering every car delivered up to until very recently had been reserved months or years prior to delivery. The process makes it difficult for competitors, like Audi, to get their hands on the Model X to benchmark it or reverse-engineer it, which can then increase the short-term resale value and add a significant markup. Apparently, this is exactly what happened to Ford as we learn that the automaker reportedly paid $199,950 for a Founder series Model X (#64), according to vehicle registration documents obtained by Bloomberg. The amount represents roughly a $55,000 premium on a non-Founder series Model X with the same options. Bloomberg reports that Ford bought the vehicle from a Model S owner and coin dealer in California, who in turn bought it through Tesla’s referral program. 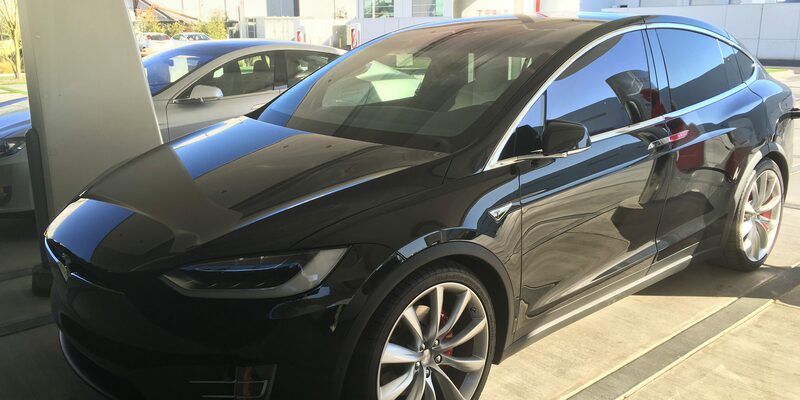 During the first run of the referral program last year, Model S owners who managed to refer enough Model S sales were offered the chance to purchase a Founder series Model X at the cost of production version Model X. It looks like the automaker is at it again with the Model X. Since reverse-engineering the Model S, Ford has announced a significant investment in electric vehicles and 13 new electric models(BEV, HEV or PHEV) coming to its lineup by 2020.